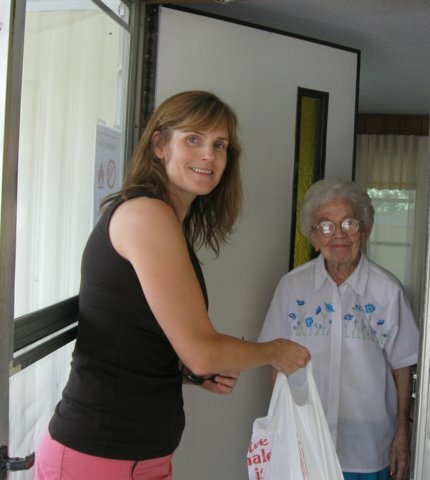 The King's Daughters Organization continues to follow its mission by aiding the elderly in our community through both direct volunteering and financial support by way of our grant program. The grant program has benefited thousands of seniors in Sangamon County with the help of the programs and agencies that provide direct services. An agency that continues to help KDO follow its mission is Senior Services of Central Illinois. Senior Services of Central Illinois is a grant recipient who has a very similar mission statement as KDO. Senior Services of Central Illinois has been supporting and serving seniors with non-medical services to promote independent living and enrich quality of life for over 50 years. Senior Services of Central Illinois (SSCI) offers a wide variety of services to individuals age 50 and older, serving approximately 36,000 participants annually. Kings Daughter’s Organization has supported these programs by granting over $240,000 to Senior Services of Central Illinois over the last 10 years! For example, in 2017 Senior Services served 993 people through the three KDO grants awarded. One of the grants helped purchase a vehicle that would keep food warm during transportation to the senior’s homes. The second grant assisted seniors in crisis with emergency rent and utility services and the third grant purchased a recumbent bike for seniors to use within the Senior Center. Below are a few examples of the impact of the emergency rent and utility assistance program has had on seniors in Sangamon County. An elderly lady who had a recent stroke and was wheelchair bound came to the Senior Center in search of assistance. He had a heart attack, they were raising a 17-year-old, and were unable to pay utility bills due to mounting health care costs. Senior Services was able to assist by paying a utility bill so she could afford to pay her medical bills. A senior had been heating her drafty home with space heaters to save money. When the electric bill came it was much more than she expected. Living on a fixed income, she was unable to pay the bill in full. Senior Services was able to assist with paying a portion of the bill. Two seniors needed to have their scooters repaired and could not afford the repairs on top of their medical bills, grocery, and rent. Living on Social Security often times has our seniors debating between buying groceries or having their electricity/water shut off. One exercise class participant is a 96-year-old woman who is very actively fit. She attends exercise classes three times a week and the instructor indicates he believes the classes have contributed greatly to her continued activeness and independence. The classes are no cost to the participants. Another participant is an elderly man who is extremely stiff and rigid in his shoulders. He only attends once a week at this time, but in working with stretching and weights, his range of motion is increasing. He can now lift his arms over his head, which is very significant since he had not previously been able to do so. His time in class also provides a social outlet that he does not have at home. The programs at Senior Services of Central Illinois encourage independence and quality of life in our aging population. We are thankful for the dedication and quality services that Senior Services provides to central Illinois. We feel blessed to be able to support their mission!